Great Minds Consulting – New Box.com Partnership! 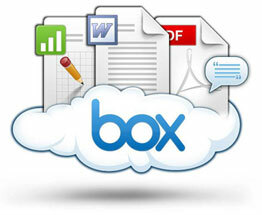 Great Minds Consulting LLC is proud to announce that we are now partners with box (box.com!) We always strive to work with best and most innovative companies in the “cloud computing” marketplace. Ask us how you can leverage their services to make your business more efficient today! About box.com: Founded in 2005, Box provides a secure, scalable content-sharing platform for over 10 million users and 120,000 companies, including 92% of the Fortune 500. Box’s dynamic, flexible content management solution lets users access and share content from anywhere, on any device – while providing IT visibility into how content moves within their organizations and beyond. Content on Box can be accessed through desktops, laptops and mobile devices, and extended to popular enterprise tools like NetSuite and Salesforce.